Insular Life bested other life insurance companies worldwide by earning its 15 th Life Office Management (LOMA) Excellence in Education Award. The award recognizes companies that excel in developing their human resources through the use of LOMA’s professional education and learning programs. With 15 Excellence in Education Awards under its belt, Insular Life has received more awards than any other life insurance company around the globe. Only Modern Woodmen of America and RGA Reinsurance Company, both based in the United States, have come close with 12 awards each. LOMA is an international trade association for the insurance and financial services industry, and has been a trusted source for industry knowledge for nearly 100 years. Its globally-recognized educational resources and products help drive innovation, provide reliable research, and develop best practices for the industry. Its employee training and development programs are used by nearly 1,200 life insurance companies in over 80 countries worldwide. To be eligible for the Excellence in Education award, member-companies of LOMA must have enrolled in a minimum of 50 examinations during the previous calendar year and must achieve exceptional pass rates for LOMA examinations. 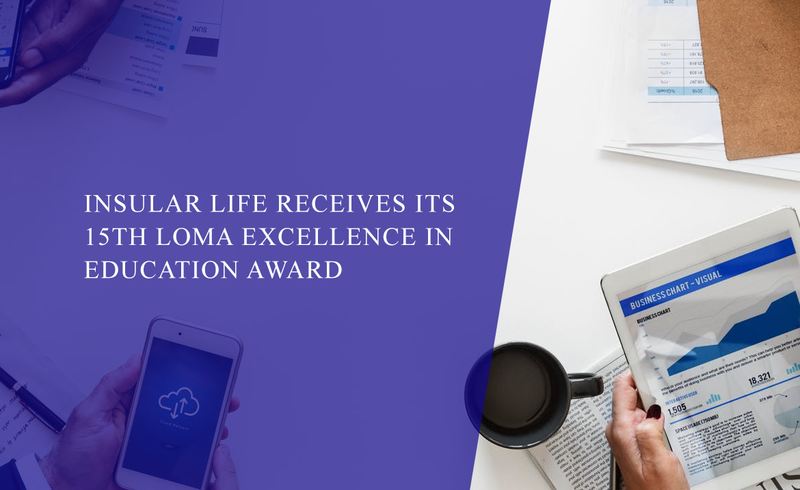 Due to its commitment to the program, Insular Life has been a consistent recipient of the Excellence in Education Awards from LOMA since 1992. The company currently has 35 Fellows from the Life Management Institute program (FLMI), a 10-course professional development program that teaches advanced insurance and financial concepts. It also has two Fellows from the Financial Services Institute (FFSI), and over 160 certificate holders from various management courses. To add to these, Insular Life sponsors and makes available over 100 LOMA exams slots for its employees each year.